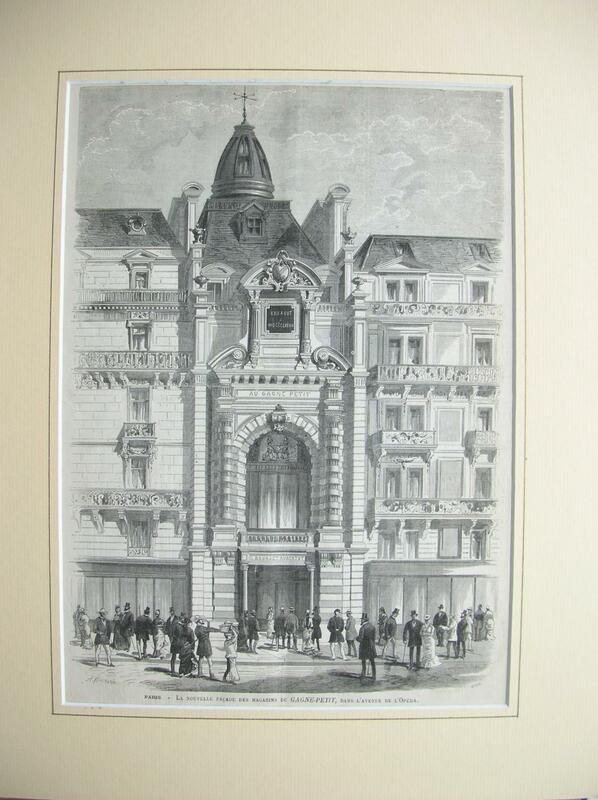 London: Smith, Elder and Company, 1878. 3 volumes. 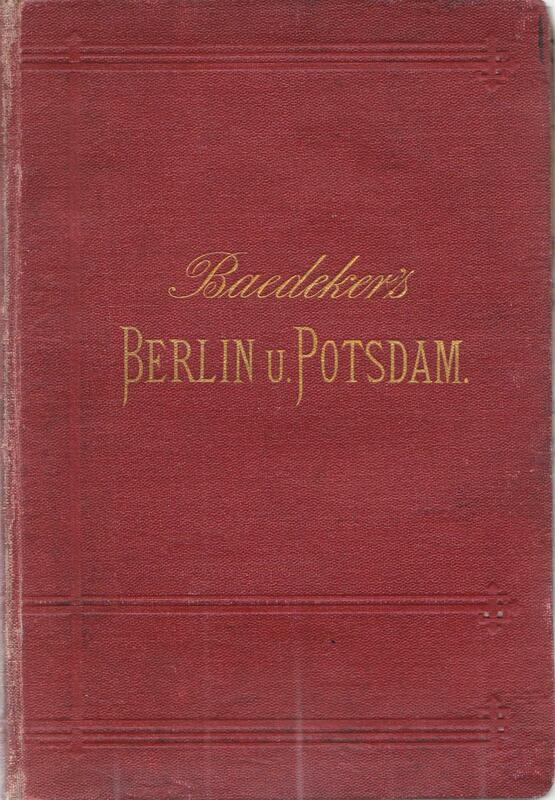 First edition, and with the first issue state of the title-page to Vol. I. A COPY WITH FINE PROVENANCE, FROM THE DOHENY COLLECTION WITH THE FINE MOROCCO LABELS GILT OF ESTELLE DOHENY AT THE PASTEDOWNS. With a cartographic frontispiece in the first volume drawn by Hardy. 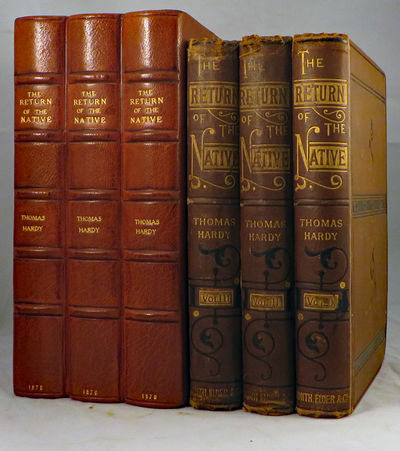 8vo, in the publisher's original brown fine-ribbed cloth with panels and simple ornaments blocked in black on the upper boards; the lower boards with a simple blind-stamped double ruled border, the spines attractively lettered and decorated in gilt and black, Purdy's first issue binding, which is Sadleir's second. 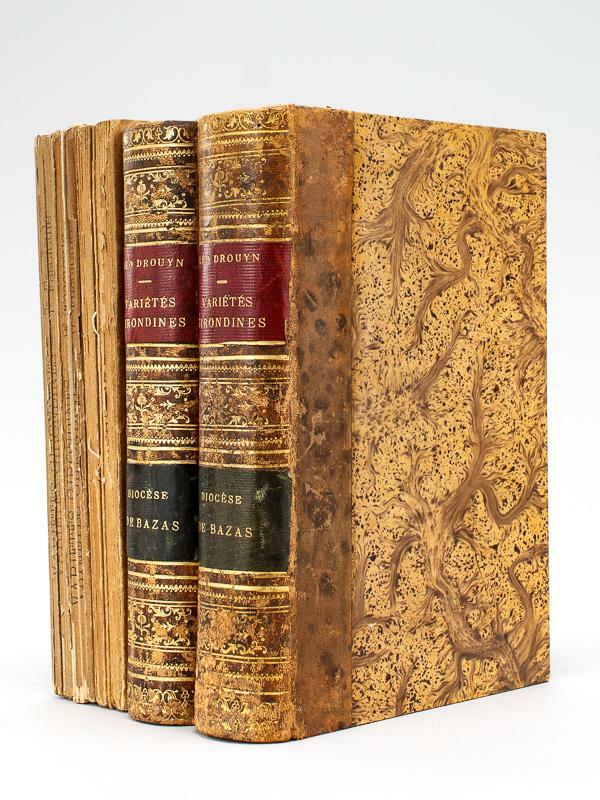 Now housed together in a single morocco backed slipcase, with chemise, the spine tooled and decorated as a three volume set of books. [ii], vi, 304; [ii], vi, 297 , ad leaf; ii, vi, 320. A pleasing set in fully original state, the original cloth still bright with vivid decoration. Some of the expected rubbing along the edges and tips, the volumes just a touch shaken but the set fully unsophisticated and with no repairs or restoration, the textblocks still quite fresh. A rare work in the original cloth. A VERY HANDSOME AND PROPER SET IN FULLY ORIGINAL STATE AND WITH THE VERY FINE PROVENANCE OF THE DOHENY COLLECTION. THE RETURN OF THE NATIVE was written at Riverside Villa, Sturnmonster Newton, though probably finished at Upper Tooting where the Hardys took a house in March of 1878. The first seven chapters were written by the summer of 1877 and the first two books by November, and serial publication was begun in Chatto and Windus's "Belgravia" in January 1878. Hardy had offered the novel to Leslie Stephen for the "Cornhill" magazine, but the latter feared that the novel's personal relations were developing into something too dangerous for a family magazine, and he refused to begin a serial publication without seeing the completed work. Since this was not possible, Hardy's association with Stephen as editor was ended, and Smith, Elder and Co. agreed on 20 September to publish the finished novel. The book was published in November of 1878 in an edition of only 1000 copies. It was never again reprinted in three-volume format. Polar colonization. Memorial to Congress and action of Scientific and Commercial Associations. Washington: Beresford, n.d. [ca. 1878]. Very Good/Howgate, an officer in the United States army, devised a scheme to settle an American colony in the Canadian Arctic, at Lady Franklin Bay on the northeast extremity of Ellesmere Island. In 1877, he outfitted the "Florence" under command of George E. Tyson, to sail north to begin preparations for the larger plan. Howgate failed to sell the plan in Washington, however, and the "Florence" returned the following year. This volume outlines the plan for the colony and reports on the progress of the "Florence." Howgate later embezzled money from the U.S. Government, and ended up hiding out disguised as an antiquarian bookseller in New York City until his arrest.The second item, the Willis report to Congress, considers progress on the bill to "fit out an expedition to the North Pole, and to establish a temporary colony..." and endorses a proposal before Congress to fund an expedition with $50,000. 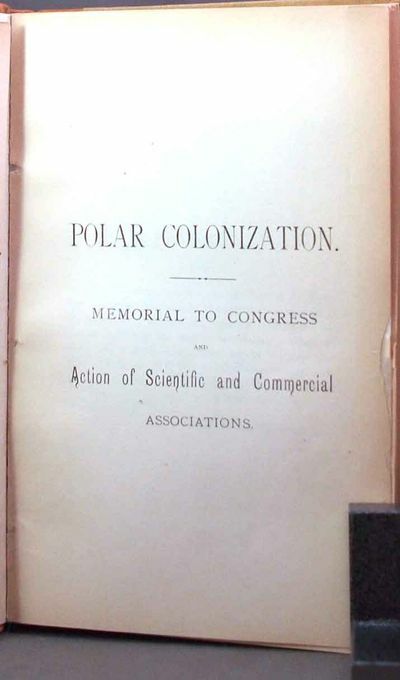 The bill represented Howgate's plan for a "polar colony" to be established at Lady Franklin Bay for the purpose of making scientific observations and reaching the North Pole. Although the $50,000 appropriation passed the House of Representatives on February 9, 1877, it stalled in the Senate due to the objections of General Tecumseh Sherman, commander of the US Army, who had no interest in diverting Army resources to the Arctic. Congressional support for an observation station at Lady Franklin Bay would not be approved until 1880. Judge Patrick Daly served as president of the American Geographical Society from 1864 to 1899. His annual addresses, "Geographical Work of the World" provided astute and comprehensive summaries of exploring activities. For his 1878 address, Daly touted the progress of geo-science and exploration around the world, including allusions to the exhibition of Foucault's Pendulum at the Paris World's Fair, and the invention of the phonograph, "a wonderful triumph in physics... by means of which words spoken by the human voice can be stored up, transmitted to any part of the globe, and reproduced again." In addition to several summaries of explorations of the Western United States and other parts of the globe, there is a lengthy section on attempts to recover information about the Franklin Expedition. Daly reports on the information obtained by the whaling captain Thomas Barry from the Inuit of Repulse Bay that the long-lost journals of the Franklin expedition may have been preserved in a cairn on King William Island. The information would lead to the Geographical's Society's sponsorship under the command of Lieutenant Frederick Schwatka, which confirmed that no such records had survived.. Three separate titles bound together. POLAR COLONIZATION. 23 cm; 143 pages. Folding map frontispiece (repaired along fold) and 2 plates. Bound in 1/4 polished leather over cloth, ruled on spine in gilt and black, with red leather label titled in gilt. Reference: Arctic Bibliography 7545[BOUND WITH]Benjamin A. WILLIS. 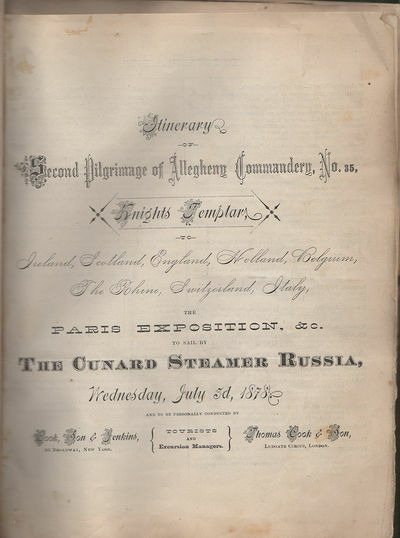 EXPEDITION TO THE ARCTIC SEAS: REPORT FROM THE COMMITTEE ON NAVAL AFFAIRS. Washington, D.C.: House of Representatives Committee on Naval Affairs, February 7, 1877. 13 pages. Report #181 of the 44th Congress. One leaf torn and repaired, another with closed tear along fore-edge. [BOUND WITH] Charles P. DALY. GEOGRAPHICAL WORK OF THE WORLD IN 1877: ANNUAL ADDRESS. New York: American Geographical Society, 1878. 76 pages. 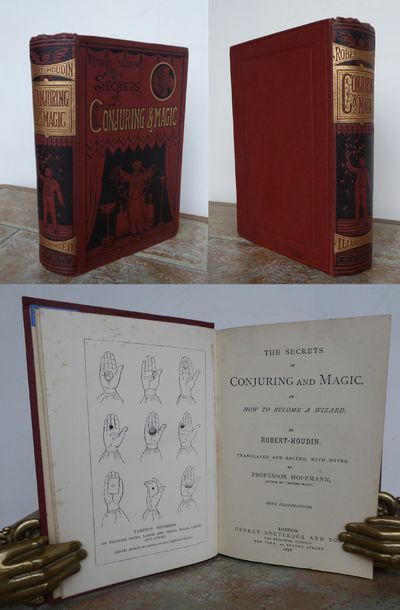 THE SECRETS OF CONJURING AND MAGIC, Or How to Become a Wizard. 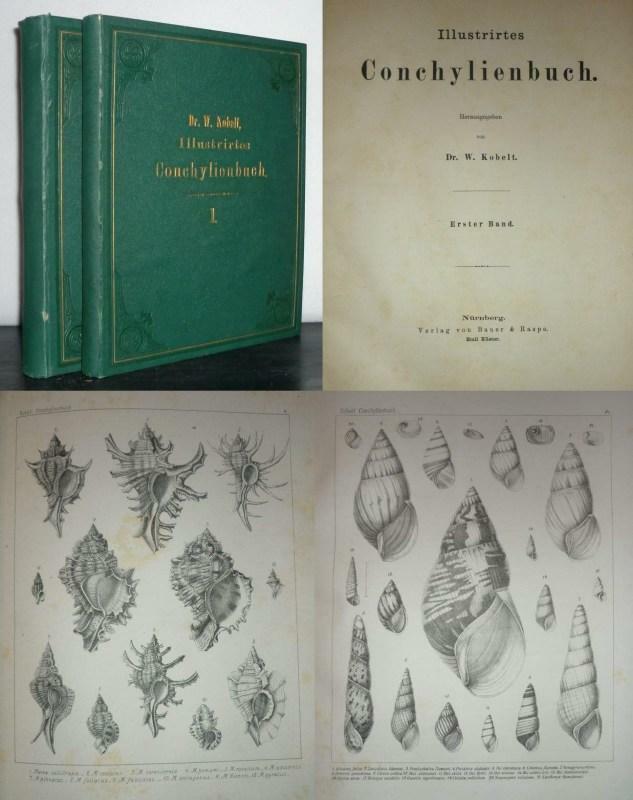 London, George Routledge and Sons, 1878.. FIRST EDITION 1878, translated and edited with notes by PROFESSOR HOFFMANN. 8vo, approximately 190 x 130 mm, 7¾ x 5 inches, frontispiece and text illustrations, pages: xix, 1-373, , plus 6 pages of publisher's adverts, original publisher's pictorial cloth, gilt title to upper cover and a picture of a conjurer, all edges gilt, small bookbinder's label on rear pastedown and small bookseller's label to first pastedown. Pale foxing to top of frontispiece, no tissue guard, slightest shelf wear to head and tail of spine and corners, otherwise a very good plus copy. See: Clarke and Blind, page 66; Swann Galleries,The Neil See Collection, No. 212; Short-Title Catalogue of Works on Psychical Research, Legerdemain etc., compiled by Harry Price, page 327. MORE IMAGES ATTACHED TO THIS LISTING, ALL ZOOMABLE, FURTHER IMAGES ON REQUEST. POSTAGE AT COST. 1878. Raffigurazione allegorica dell'Impero Inglese presentato come un enorme biscione che stritola la terra tra le sue spire, mentre il Progresso e la Civiltà fanno rigirare il mondo ed alle loro spalle fanno capolino le ombre di: Virgilio, Dante, Tasso, Mazzini, Cavour, Vittorio Emanuele ed il Thiers. Al retro, la raffigurazione allegorica viene descritta dalla Segretariessa Berta: "...La sua testa spaventosa poggia sull'Irlanda, ove inghiotte chiunque gli si ribella...Il collo è sulla Scozia e il principio del suo corpo sulla vera Inghilterra. Di là svolgendosi sull'Oceano Atlantico, viene a posare su Gibilterra e sull'altra riva dello stretto, che è l'Africa... copre coll'influenza dell'astuzia e con quella delle armi tutta la costa africana del Mediterraneo... Dippoi nel mar Ionio avvolge Malta, le isole dell'Arcipelago, stritola Cipro e si ricurva sulla Turchia... in cui fa da padrone. Dalla Turchia Europea passa all'Asiatica, poi all'istmo di Suez, e di nuovo all'Egitto e all'Abissinia... E per tutte le regioni Africane cui costeggia il Mar Rosso e il golfo Persico si stende e torcendosi nell'Oceano Indiano, va a formare un nodo tremendo nei possedimenti d'India... Traversa l'Arcipelago Australiano, dove si posa su molte isole accanto ai selvaggi e ravvolge tutto il continente d'Australia conosciuto... Risale sull'Oceano Celeste e su altre isole che ivi s'è prese e poderosamente stringe il lembo della China, ove da Hong-Hong le impone a cannonate di fumar oppio, e così pure il Giappone... Il grosso animale si svolge su tutto l'Oceano Pacifico e le sue isole, tocca l'America e con più nodi l'abbraccia, dove ha grandi colonie, e schiaccia il Canadà... Eccolo allungarsi sull'Oceano Atlantico fino ai possedimenti Africani di Sierra Leona, torcersi sull'Ascensione, attraversar di nuovo l'Atlantico posandosi sull'America nella Guiana Inglese donde ripassa per stringere Sant'Elena, ritoccando l'Africa, ove la sua coda serpeggia su Transvaal e sul capo delle Colonie, annodandosi sull'Isola di San Maurizio.". Ottima conservazione, tratta da "Il Papagallo"
Paulus, Eduard und Robert Stieler. Aus dem Schwabenland. Malerische Ansichten in Landschaft und Architectur. New York: Harper and Brothers, . 2 volumes. The American issue of the first edition, an early printing without the date on the title-page. 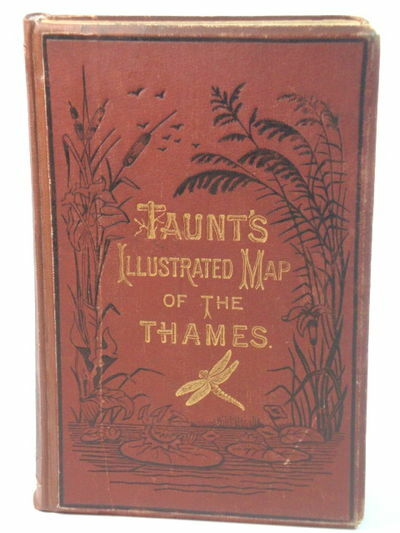 Numerous illustrations and maps throughout, including 34 full page plates and two very large folding maps in rear pockets of each volume. Thick 8vo, publisher's original forest green cloth pictorially decorated in an overall elaborate design incorporating vibrant colours and gilt, spines similarly decorated and blocked. xiv, 522; ix, 566 pp. An unusually fine and bright set, remarkably so, internally near pristine, the cloth bright and fresh with no fading whatsoever, the gilt bright as new, trivial splitting at the edges of the map folds only. ONE OF THE GREAT BOOKS IN THE AFRICAN OEUVRE. THIS COPY IN THE PUBLISHER'S FINE DECORATED CLOTH BINDINGS IN ABSOLUTELY SUPERB CONDITION. After the death of Livingstone, Stanley resolved to return to Africa and finish his work, and also to resolve some of the problems introduced by Burton and Speke. Livingstone had considered it his mission to finish mapping and studying Central Africa, resolve some of the questions about the source of the Nile and to report on the doings of the slave traders, a practice that Livingstone spoke actively against. Criticized even at the time for what many considered his harsh treatment of the native peoples, Stanley did manage to finish what Livingstone had started and open up Central Africa to the west. When Stanley made his first journey, he was one of a very few white people on the entire continent. 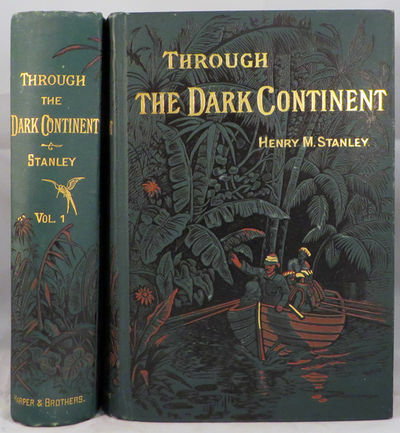 Within the twenty years which elapsed after Stanley's first journey, the continent was being viewed as a commercial, political, and strategic destiny by many of the countries in Europe. A very elusive title now, in the deluxe bindings. Konvolut von 2 Bänden aus der Reihe Medicinische Hausbücher. Gebunden in einem Band: Medicinische Hausbücher Bd. 33: J. Goliner, Die Ernährung des kranken Menschen, insbesondere der Magen- und Darmleiden. Ein populärer Wegweiser für die diätetische Pflege. Und Medicinische Hausbücher Bd. 31, J. Goliner, Die Magen-, Leber- und Darm- Krankheiten. Ihre Ursachen, Verhütung und diätetische Behandlung. Mit Abbildungen. Mit div. Werbeanhang. Hampel,, Berlin, 1878 - 20 x 16 cm. cm. 93 / 113 S. ISBN: Keine. . Bibliothekseinband: Original brauner Halbledereinband. Deckel mit Marmorüpapier bezoge / handgeschriebenes Rückenschildchen. Div. Bibliotheksstempel. No Jacket. Guter Zustand / Good condition. Teilweise ist das gefaltete Papier vom Werbeanhang sehr brüchig bzw. schon eingerissen. Schönes Exemplar dieser so seltenen Schriften. 1. Auflage. Sprache: de. * Versandfertig innerhalb von 20 Stunden! R1B6 (HL). Jpg. 1878. To "My dear Mrs. Wood." 4 pages (all sides of a bifolium). South Berwick [Maine]: 13 August 1878. Signed "Sarah O. Jewett." The text of this letter reads:~Here is the Boat song for you, and it was very good of you to care for it. And I am very glad to have the chance to tell you how much I enjoyed being with you while I was at Rye and how sorry I am that we live so far apart that I shall not be likely to see you often. It was so kind of you to ask Julia and me to visit you and wouldn't it be charming if some happy day that plan came true! But I am afraid Julia and I will hardly see each other for a long time to come, though I made brave plans when I was with her, for joining her abroad. That is the sorrow of being so fond of one's friends as I am -- one is so sorry when one sees one's best friends seldom but after all I can't help remembering that by and bye when one looks back from another world, separation will seem such a little thing and the lessons learned from it so grand and so sweet.~I am heartily glad to be in my own dear home, yet I have been really homesick to get back to Little Boar's Head. I always miss the sea terribly, when I leave it, and I have been very happy, these last few weeks. I have a great many pleasant things to remember and one of the best is knowing you dear Mrs. Wood. I wish you were here now -- I'm sure you would poke a little bit of fun at me for the way I am writing, with the light perched on some books and some letter paper in the top drawer of my desk. But I wished to send you this by the morning's post, and I hardly ever write in the evening. Good night! Please give my love to the children especially to Sarah. I hope you will not forget me, for I shall often think of you. Yours sincerely & lovingly...~We have not been able to identify the recipient Mrs. Wood, but she does not sound like a close acquaintance. The two women had apparently just been summer-resort guests at Little Boar's Head in Rye, New Hampshire -- then quite a fashionable seaside resort town (just 20 miles from Sarah's home in South Berwick, Maine -- and just ashore from Sarah's literary friend Celia Thaxter). Sarah had apparently told Mrs. Wood that she would send her a copy of her poem "Boat Song" (not included here). Sarah then mentions "Julia" -- and this would most likely be Julia Ward Howe, an acquaintance of Sarah who would stop in for visits in South Berwick. 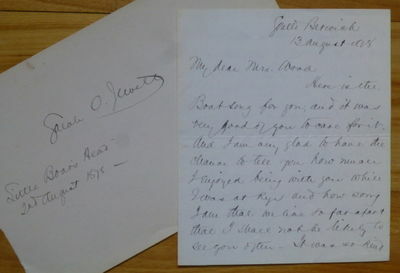 It was in mid-1878 that Julia, two years after her husband's death and upon completion of a western lecture tour for women's suffrage, headed off to Europe (she would return in mid-1879) -- as referred to in this letter.~This is a nice early Jewett letter -- her first book DEEPHAVEN had just come out the preceding year. The letter is in fine condition (once folded). Also included is a half-sheet of stationery on which Sarah provided a handsome example of her signature followed by "'Little Boar's Head' 2nd August 1878": while the two women were guests at the resort, Mrs. Wood must have asked Sarah for her autograph -- and then put it with this letter upon the letter's arrival in the mail, a couple of weeks later. Bäumerl, Wilhelm & Schnurr, Julius & Schill, Adolf. Gewerbehalle. Organ für den Fortschritt in allen Zweigen der Kunstindustrie. Unter Mitwirkung bewährter Fachmänner redigirt von Wilhelm Bäumer, Profeßor der Architectur am Holztechnikum in Stuttgart, und Julius Schnurr, Zeichner, sowie Adolf Schill, Architekt in Stuttgart. RAOULT, J. X. (Ivan Raoult). Illustrirtes Conchylienbuch. Erster [und zweiter] Band. Nürnberg. Bauer & Raspe. 1878 - XVI. 391 Seiten, 112 Tafeln. Originalhalbleinenbände. In sehr gutem flecken- und anmerkungsfreiem Zustand. O. O., [21. III. 1878]. - 1 S. Qu.-8vo. An Herrn Röhn: "Ich höre daß Sie bald zurück reisen, möchte aber gern Sie noch sehen, wovon meine Angelegenheiten mich hinderten. Ich bitte daher um 7 Uhr mit uns am Diner theilnehmen zu wollen [ ]". - Gefaltet. 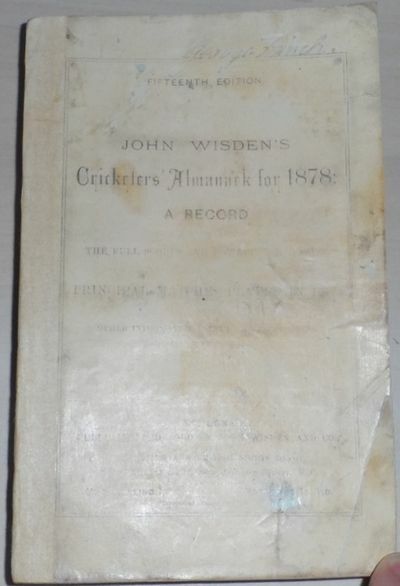 John Wisden's Cricketers' Almanack for 1878 - 1878 Original Paperback Wisden,Facs Rear Cover 15th Edition! 1878. Hi, This lot is an 1878 Original Paperback Wisden. It is in Original form but the rear cover is facsimile as is the spine. As with all 1878s ( and 1879s) the front cover is heavily worn, thank goodness the shiny page era lasted just 2 years. Internally this book is very nice and clean just a bit of foxing to the first few pages. A couple of spots to the page block and a small indentation to the first few pages with some light foxing to the rear. A hard year to find. 15th Edition. 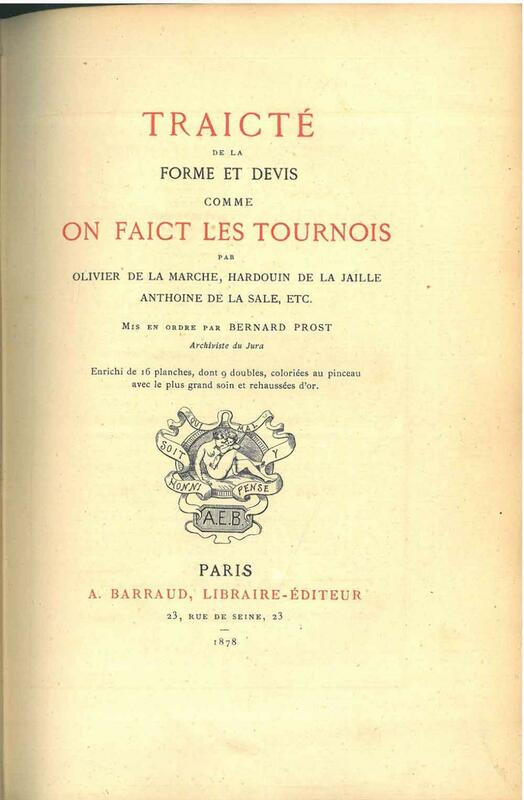 Paris Hachette 1878 In folio Pagine 639 Bellissima legatura in piena percalina rossa editoriale. Piatti splendidamente impressi e decorati in rosso, nero ed oro. Leone alato e stemmi, titolo ai piatti ed al dorso finemente decorato, sguardie occhio di pavone occhiello, frontespizio in due colori. Tagli dorati. 257 incisioni in legno nel testo e fuori testo. 7 carte geografiche. Ottima e fresca copia. Descrive ed illustra le terre percorse in un viaggio lungo le coste dell"Adriatico. Parte da Venezia (Chioggia e Trieste) verso l"Istria, il Quarnaro, la Dalmazia e il Montenegro, poi ritorna sulla costa italiana e, da Ravenna, raggiunge Otranto attraversando le regioni che costeggiano il mare. Splendida l'iconografia, in ottimo stato, sporadiche fioriture nelle prime ed ultime carte. Importante e scarsamente reperibile. New York: A.J. Bicknell & Co., 1878. First Edition Thus. Hardcover. Very Good. 80 p. 24 cm. Filled with detailed illustrations of interior and exterior views of homes, commercial buildings, churches, a library, cottages, architectural details, mantels and bookcases. Also includes floor plans. Colour ad for Minton's Tiles for Floors at rear. 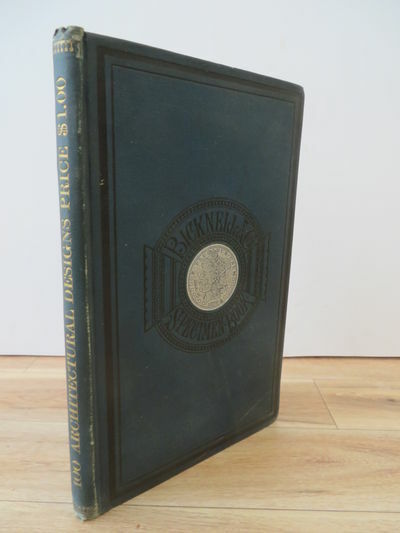 Blue cloth hardcover with silver emblem on front cover. All edges red. Corners bumped, tiny tears in spine ends. Minor wear to edges. Tiny bookseller label on front pastedown. A front endpaper has inscription of "Alex. Johnston, 136 Colborne St., London, Ont." Germer Baillière, 1878. Book. Good. Hardcover. 8vo - over 7¾" - 9¾" tall. 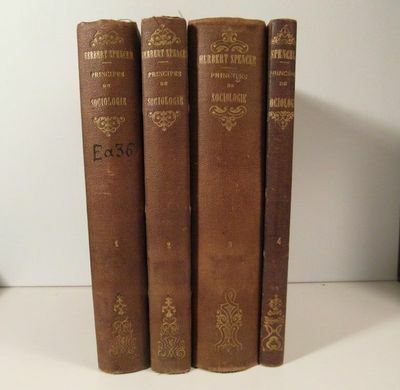 4 volumes In-8, reliés (pleine percaline) en Bon Etat, traduit par M.E. Cazelles, première édition, tome 1-1878, tome 2-1879, tome 3- 1883, tome 4-1887(par Félix Alcan). Ganka yakusetsu [Summary of Ophthalmology]. 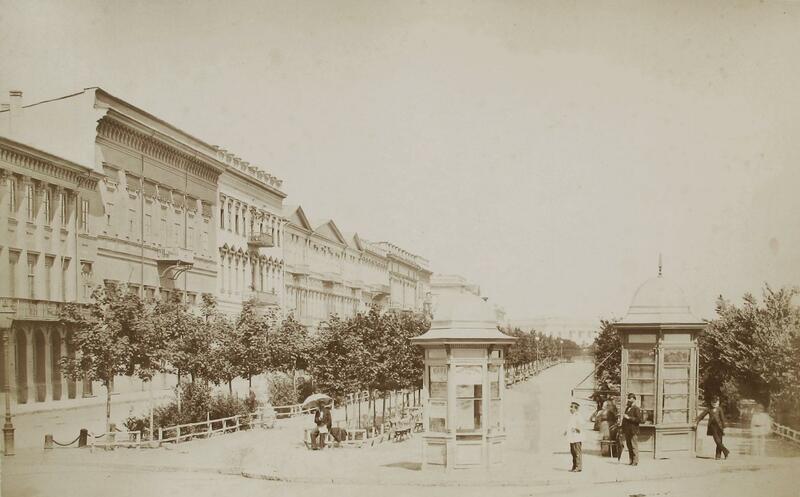 Tokyo: 1878. 2nd Edition. Soft cover. 4to - over 9¾ - 12" tall. 3 Volumes. Tokio, Meiji 11 (1878). (227 x 148 mm). 22 finely hand-colored full-page woodcuts on 13 folding plates. 35; 39, 30 folding leaves. Xylographically printed and stack-folded double leaves in Japanese stitched binding. Grey original wrappers with xylographic title tag (little soiled and rubbed, stitching partly defect). Internally crisp with only very little paper browning. Final leaf of each volume with red ownership seal. ---- Second edition in Japanese, first published in 1872 (Meiji 5), of this collection of translations from a variety of Western ophthalmological texts. The hand-colored plates depict a range of diseases, ophthalmological instruments and surgical procedures. According to NLM the author is Paul Silex (1858-1929), but this is certainly wrong. 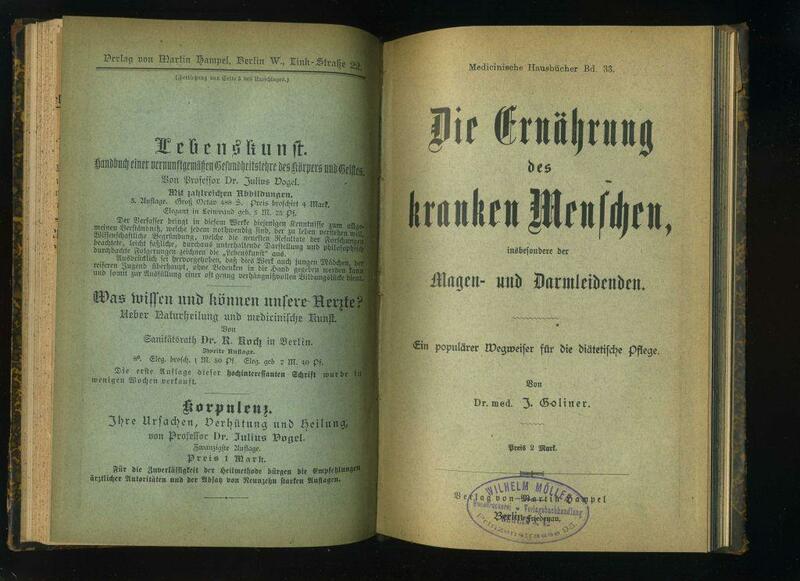 The present work was probably mistaken for his "Compendium der Augenheilkunde" (Berlin 1891). See G. E. Mestler, A Galaxy of Old Japanese Medical Books With Miscellaneous Notes on Early Medicine in Japan, IV, p. 336). - Visit our website for additional images and information. Very Good. 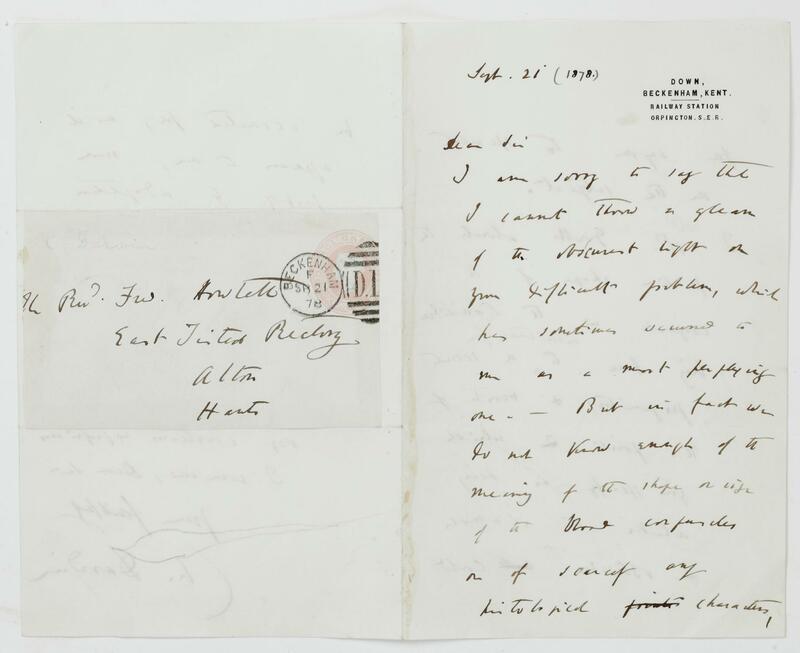 Autograph letter signed, to Frederick Howlett, concerning adaptation to environment versus 'inheritance from a common ancestor extremely remote in time'. Oxford: Taunt, Henry W., 1878. Hardcover (no dust jacket). Fifth edition. No publication date is stated, but the title page refers to 'From entirely new surveys finished during the summer of 1878, and corrected to the present time'. Includes a mounted original photograph of Taunt's houseboat. Also includes another original mounted photograph of camping out by the riverside; a folding map; a full-page map; a large folding table of distances; 96 small original photographs mounted on 32 double-page maps and one plate. A printed bifolium ad on blue paper for Old Father Thames as written and published by Taunt is tipped-in between the final page of text and the first page of ads. Name and details of former owner are penned on FEP. Shelf-worn boards with several bumps and scores. Outer covering of rear spine side has peeled away. Leading corners of boards are split. Head of page block is dark. First half of pages are quite bumped. Some tanning, nicks and foxing on pages. Contents remain clear. AF. Hardcover. Good. Used. 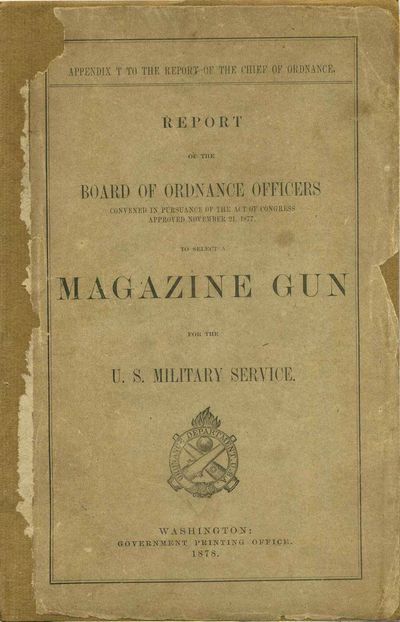 Report of the Board of Ordnance Officers Convened in Pursuance of the Act of Congress Approved November 21, 1877, to Select a Magazine Gun for the U.S. Military Service. Washington, D.C.: Government Printing Office, 1878. Book. Very good- condition. Paperback. First Edition. Octavo (8vo). 71 numbered pages of text, complete with one folding table and 21 folding plates that when unfolded meansure 14-1/8 inches long, 9 inches high showing 19 of the submitted rifles plus a modification and some testing equipment. Paperback binding of tan wrappers; front cover is chipped and worn and lacking the rear cover. The front cover was laid down on a new paperback binding. Three plates have archival repairs at the folds, and another plate is soiled in the margins. There is minimal loss at some of the repaired folds. Infrequently offered on the market, the last one offered at auction was in 2007, and there are only two copies listed on OCLC. Published as Appendix T to the Report of the Chief of Ordnance to the Secretary of War for 1878. The Winchester Hotchkiss which won the recommendation for purchase of the board is well known but some of the other competitors are relatively unknown. Only one of the three actions submitted by Sharps is shown in the plates and it resembles the Swiss Vetterli more than any American gun. The Chaffee-Reese was completely different from the one that was later produced at Springfield Armory. One of the Remingtons appears to have been modified into the Keene rifle at a later date. The detail drawings are fine and could probably be related to various patents. First edition..
London: George Routledge and Sons, 1878. First Edition. Hardcover. Very Good. First edition, British issue. xix, 373pp, , [6 ads]. Crimson cloth with black and gilt decoration, all edges gilt. About Very Good with small tear to head cloth, slight insecting to cloth and light edge wear, former owner's bookplate on paste down, front hinge split. Tissue guard intact. 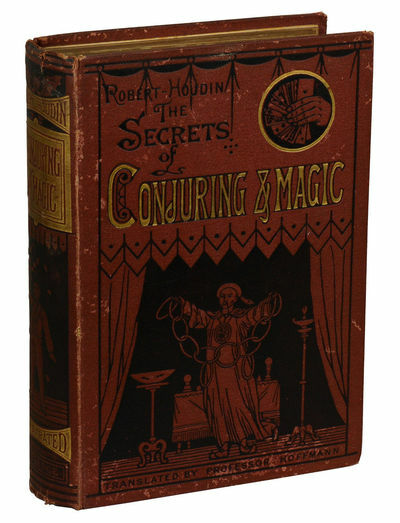 An important 19th century work on conjuring by French magician Jean-Eugene Robert-Houdin. Bericht über die wissenschaftlichen Apparate auf der Londoner Internationalen Ausstellung im Jahre 1876. 5 Verlags-Scheine u. 1 hs. Vertrag, alle mit eigenh. Unterschrift. Wien, 26.IV. 1872-1.V. 1878. - Je ½ bis 1 S. 4to. bzw. 2 SS. Fol. In den handschriftlichen abgefaßten Verlags-Scheinen überläßt der Komponist der Hofmusikalienhandlung Carl Haslinger die Rechte an verschiedenen Kompositionen (Walzer, Polkas, Quadrillen, Märsche etc.) und quittiert zugleich den Empfang der vereinbarten Honorare. - Im handschriftl. 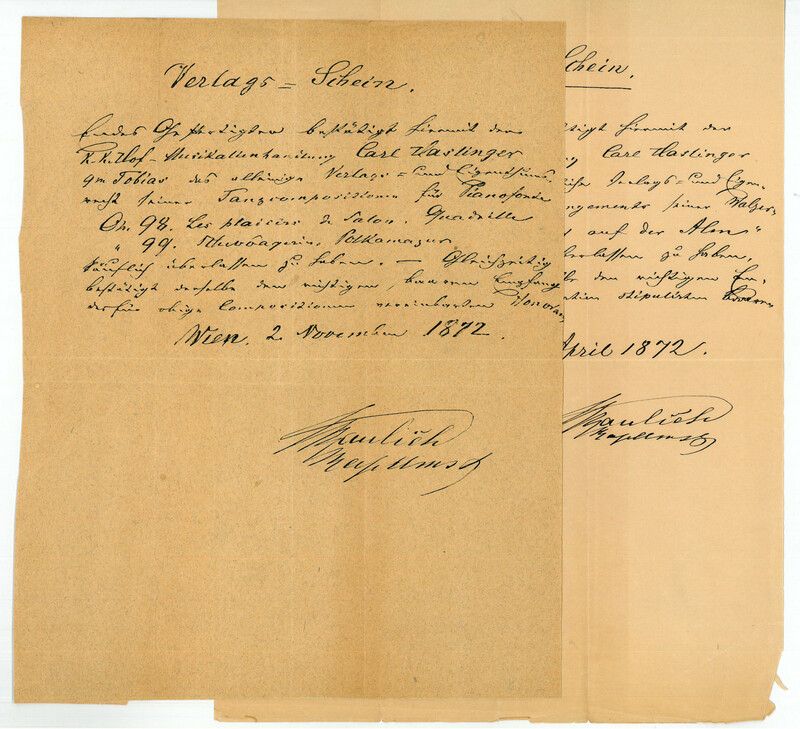 zweiseitigen Vertrag von 1878 mit Robert E. Lienau (1838-1920), der die Fa. 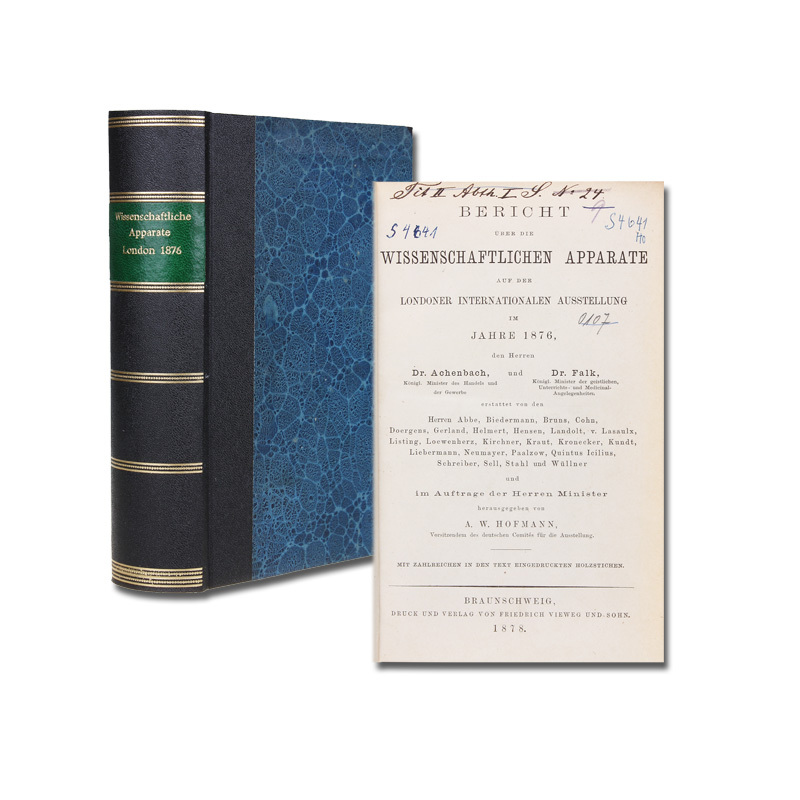 Haslinger 1875 übernommen hatte, verpflichtet sich Kaulich, seine sämtlichen Kompositionen nur an Lienau zu geben, was aber schließlich den Verlag, der einst so erfolgreich mit den Werken der Familie Strauss war, auch nicht mehr retten konnte: War es Carl Haslinger (1816-1868) noch gelungen, Johann Strauß Sohn und dessen Bruder Josef an sich zu binden, so sollten doch die Werke des jungen Johann Strauß nur mehr bis op. 278 erscheinen, und "es ist nicht bekannt, warum er und sein Bruder dann zu C.A. Spina hinüberwechselten. Zum Unglück für Haslinger leitete das op. 279, der &#145;Morgenblätterwalzer&#146; von Strauss, dessen Meisterwerke ein, die also endgültig an die Konkurrenz verloren gingen. Aber schon erstand in C.M. Ziehrer ein neuer Stern am Himmel der Tanzmusik, seine Werke erschienen bis op. 209, dann schloß sich noch Josef Kaulich an [.]" (MGGV, 1767, Art. Haslinger). - Mit hs. Registraturvermerken verso. Allegheny (today Pittsburgh's North Side), Pennsylvania, 1878. Hardcover. Very good. This 78-page hardcover scrapbook measures 8.5" x 11" and is neatly stuffed with approximately 320 brochures, certificates, itineraries, trade cards, news articles, hotel advertisements, business cards, calling cards, masonic cards, attraction receipts, event tickets, Curnard Line Passenger Lists, postage stamps, municipal seals, travel maps, banquet menus, postal cards, scenic prints and cards, hotel pamphlets and prints, railroad advertisements, steamship prints, exposition souvenirs, and more. Everything is in very nice shape. The contents have been glued to the album pages. Several pages are starting to separate. Minor cover wear, heaviest at spine ends. In 1878, 40 "crusaders" (some accompanied by family members) of the Allegheny Commandery, No. 35, Knights Templar began a grand tour "pilgrimage" to Europe. The basic tour, which cost $500 in gold, was to last 75 days, although individuals could extend their tour to 106 days by adding a visit to "the principal Italian cities" for an additional $140. The tours included all lodging and first-class passage on Cunard Line steamships. James Rafferty chose the 106 day tour which is detailed in a Thomas Cook itinerary affixed to the first page of the album. The $640 he spent in 1878 is the equivalent of over $15,000 in 2017 dollars. The exceptionally wide variety of ephemera collected by Rafferty is for the most part mounted in chronological sequence. In addition to many visually stunning ephemeral items, Rafferty also mounted long and detailed accounts of the tour that were regularly published in a local newspaper. The last few leaves in the album contain related materials collected after the trip including a cabinet card photo of Rafferty and two obituaries from 1891 (he died at age 37) identifying him as a Pennsylvania "Capitalist" who had been residing in San Diego, California. Be sure to visit the on-line listing of this album and view images of many of the album pages. A fascinating testament to the wealth associated with Allegheny, Pennsylvania in the last quarter of the 19th-century. At the time it was one of the richest cities in the United State and the home to more millionaires than any other city in the world. In 1878, 40 "crusaders" (some accompanied by family members) of the Allegheny Commandery, No. 35, Knights Templar began a grand tour "pilgrimage" to Europe. The basic tour, which cost $500 in gold, was to last 75 days, although individuals could extend their tour to 106 days by adding a visit to "the principal Italian cities" for an additional $140. The tours included all lodging and first-class passage on Cunard Line steamships. James Rafferty chose the 106 day tour which is detailed in a Thomas Cook itinerary affixed to the first page of the album. The $640 he spent in 1878 is the equivalent of over $15,000 in 2017 dollars. The exceptionally wide variety of ephemera collected by Rafferty is for the most part mounted in chronological sequence. In addition to many visually stunning ephemeral items, Rafferty also mounted long and detailed accounts of the tour that were regularly published in a local newspaper. The last few leaves in the album contain related materials collected after the trip including a cabinet card photo of Rafferty and two obituaries from 1891 (he died at age 37) identifying him as a Pennsylvania "Capitalist" who had been residing in San Diego, California. Be sure to visit the on-line listing of this album and view images of many of the album pages. A fascinating testament to the wealth associated with Allegheny, Pennsylvania in the last quarter of the 19th-century. At the time it was one of the richest cities in the United State and the home to more millionaires than any other city in the world. Vogelbilder aus fernen Zonen. Abbildungen und Beschreibungen der Papageien. Allen Naturfreunden, insbesondere den Liebhabern ausländischer Stubenvögel und Besuchern zoologischer Gärten gewidmet von Ant. Reichenow. Aquarelle von G. Mützel. Kassel, Theodor Fischer, 1878-1883. Folio. (39,5x30 cm.). Original full cloth. Corners slightly bumped. Broad rectangular blindtooling on front cover, inside which gilt title. Some neat repairs to spine ends and front hinge. (10),(66) pp. + Nachträge (6) pp. With all 33 fine chromolithographed plates, the colouring hand-finished. Occasionally very light marginal foxing. ¶ First edition of this beautiful work, the wonderful plates of which illustrate 258 species of parrots, -all species then known. 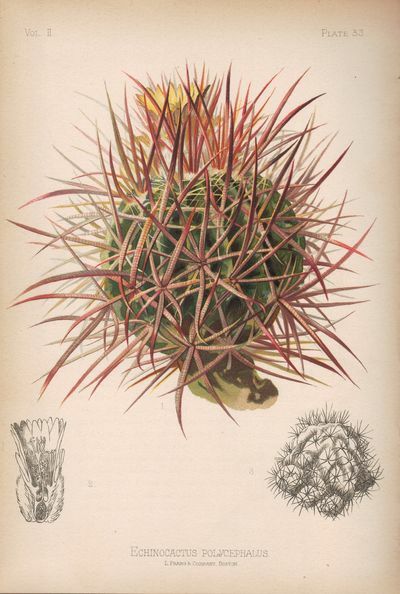 The supplement (Nachträge) describes some species discovered after the publication of the other parts of the work. Each plate is accompanied by 2 pp. of text, having short description of each species and notes on their distribution. The work was issued in 11 parts with 3 plates each over 6 years.Zimmer pp. 514-15. - Casey A. Wood p. 532. - Nissen ZBI: 3350. - Ripley/Scribner p. 238. - Not in Jean Anker. Glocken die im Dunkeln rufen. Gedichte. - Illustrationen von Hugo Steiner-Prag. 56 Seiten, 2 Blatt. 18,5 x 15,5 cm. Original-Pappband mit Deckeltitel und goldgehöhter Illustration. Seltene erste Ausgabe dieser zweiten Veröffentlichung Leppins. - Gelungene Zusammenarbeit von Paul Leppin (1878-1945), einem der Protagonisten des Jung-Prag bzw. Prager Kreises, und Hugo Steiner-Prag, der damals in München studierte. 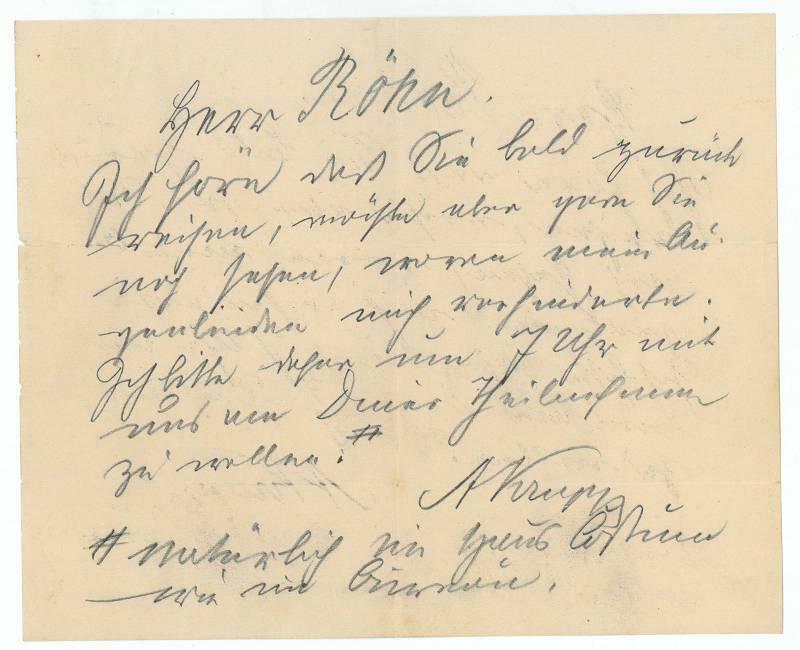 - Vorsatzblatt auf der Rückseite mit längerem handschriftlichen Eintrag, datiert 1919. Bindung an einer Stelle angeplatzt, sonst schön tadellos erhalten. Boston: L. Prang. Good. 1878. First. Hardcover. 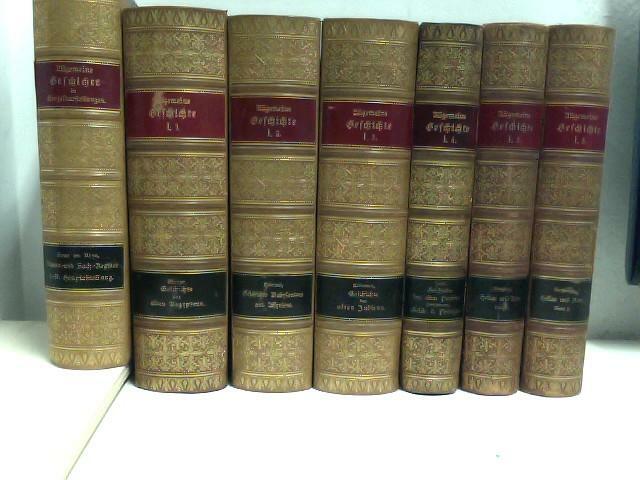 A total of 192 plates in four volumes, disbound. Series I (Vol. 1, 1878) pp 192 plus 48 original chromolithographed plates by Louis Prang & Co. ; Series I (Vol. II, 1879) pp. 200 plus 48 original chromolithographed plates by Louis Prang & Co. ; Series II (Vol. I, 1880) pp. 196 plus 48 original chromolithographed plates by Louis Prang & Co.; Series II (Vol. II, 1880), pp. 204 plus 48 original chromolithographed plates by Louis Prang & Co. ; 8vo 8" - 9" tall .